2. Book about the Holocaust: detailing his early life, wartime experiences and liberation. Original in English, translated into 7 languages. 3. Book about life after the Holocaust: detailing his life from the 1950s. Original in English, but only published in German translation. 4. 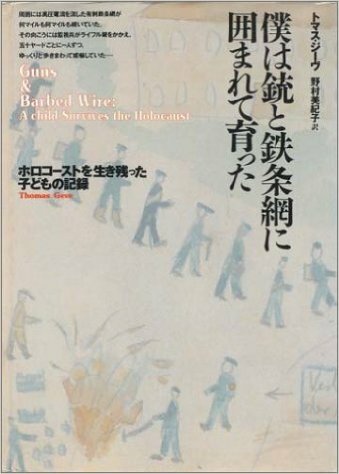 DVD about the Holocaust experiences: Thomas visiting Buchenwald and retelling his story, in German, with DVDs in existence that have Hebrew, English, French or Italian subtitles. 5. DVD about the drawings: discussion of the drawings, in French. For details on the different productions, please see below. ​a number of Thomas' drawings. The first book is the translation of Youth in Chains, published at first by Sudverlag, then republished by Donat. The second book "Aufbrüche" contains the story from liberation onwards. In German with options of English and Hebrew subtitles. Thomas is very much like to have some of his books republished, as some have been out of print for a long time. He is equally interested in having the addition of new languages. In case you are interested or have interesting leads, please contact us.